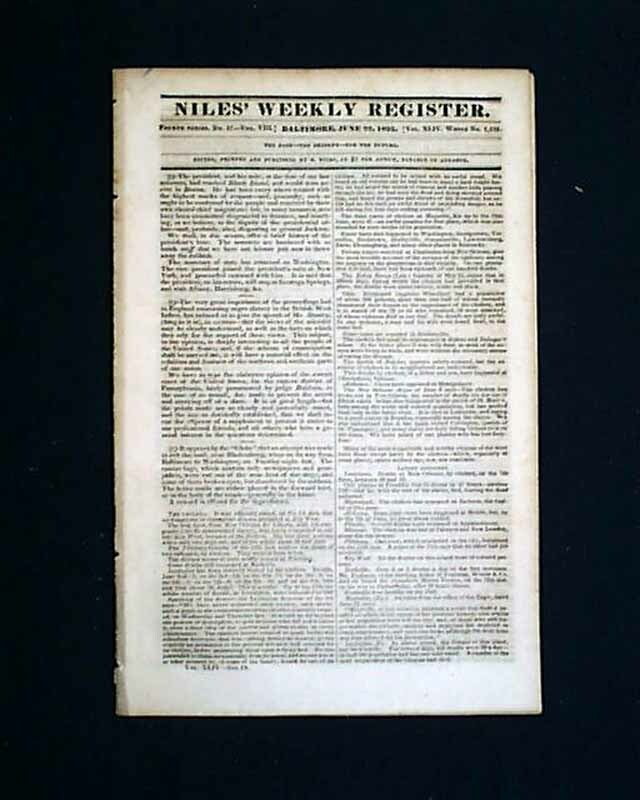 NILES' WEEKLY REGISTER, from Baltimore, Maryland, dated June 22, 1833. 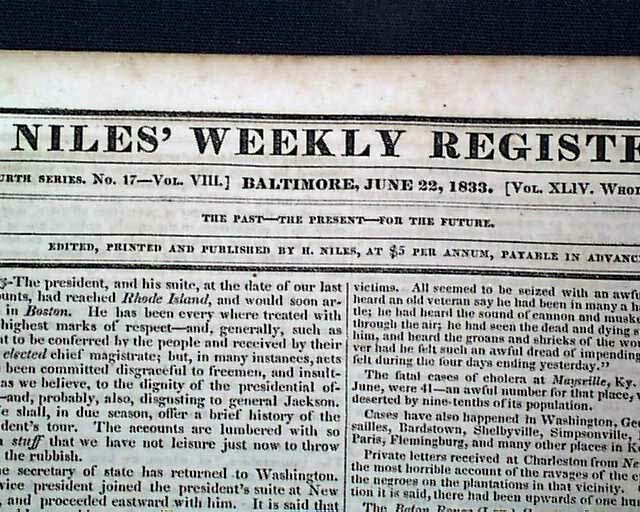 A report inside begins: A New Locomotive Engine, constructed by Mr. R. L. Stevens, was lately placed on the Camden and Amboy railroad, and works beautifully. Some details about the speed, plus mention that: The capacity to generate steam has, also, been much improved...and it is hoped that anthracite coal may be used....These are great things. 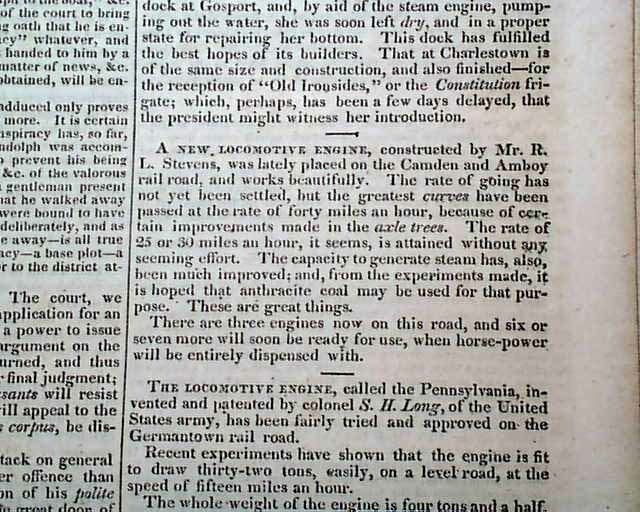 There are now three engines on this road... A second report begins: The Locomotive Engine, called the Pennsylvania, invented...by colonel S. H. Long, of the U. S. Army, has been...tried and approved on the Germantown railroad. 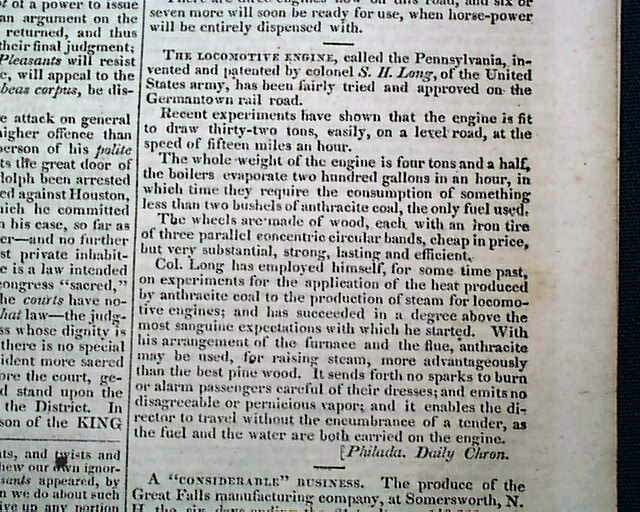 Details about the size and success of this locomotive, and the potential of using anthracite coal. 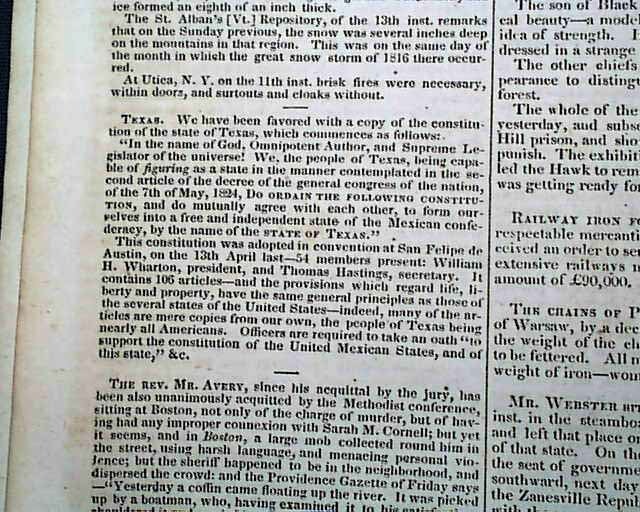 8vo-size, 16 pages in nice condition.